We here at Saturday Night Movie Sleepovers were extremely saddened to hear about the passing of icon David Bowie, after losing his eighteen month-long battle with cancer. 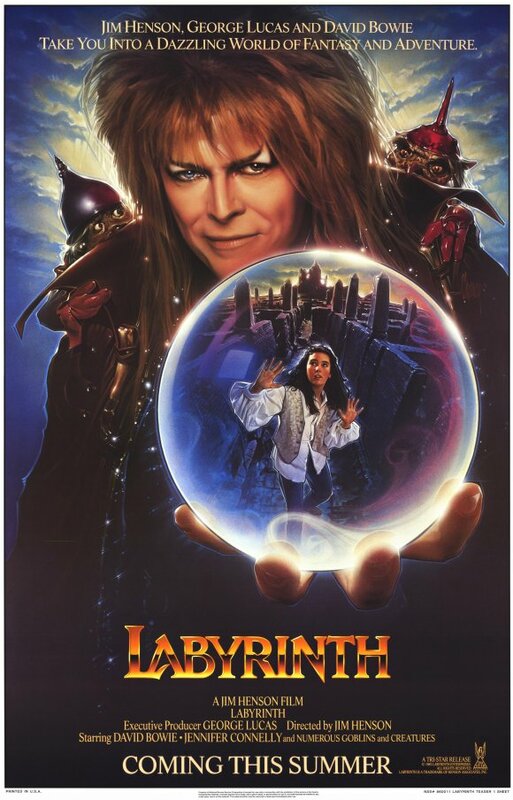 Originally our plan was to open up 2016 with a podcast dedicated to our female listeners, covering a movie near and dear to the hearts of so many women who’d grown up watching and loving a 1986 film directed by Jim Henson, which if you haven’t already guessed, is Labyrinth, starring Jennifer Connelly and Mr. Bowie. It is also the 30th anniversary of the film and along with the 69th birthday of Mr. Bowie on January 8th, we thought the Henson film would be the perfect way to open the year. So J. Blake and Dion Baia recorded this podcast in the early morning hours of Sunday the 10th, and it was not until the late evening of the same day that we along with the rest of the world heard the devastating news of his passing. We immediately decided to forego our usual format and release this podcast as we recorded it, as almost a dedication to Mr. Bowie. Certainly it is a seminal body of work for both he and Mr. Henson, which has now become a cult classic that has amassed a huge fan base worldwide. We hope you enjoy this edition of Saturday Night Movie Sleepovers, and we’d like to extend our sincere condolences to Mr. Bowie’s family, friends and fans. RIP Mr. David Jones. Here is the music video to David Bowie‘s song Lazarus, released January the 7th, one day before his latest album Blackstar premiered on his 69th birthday, and just two days before his passing. Please check out this highly recommended and fascinating episode from the 1989 show The Jim Henson Hour entitled Inside the Muppets, hosted by Henson himself, where he takes the audience on a rare behind the scenes trip through the Muppet shows and films. Have a look at the original theatrical trailer!